After a chilly morning today, the scene at my backyard hive was frenzied. As though all creatures knew that time was running out and that their last meal was rapidly approaching. 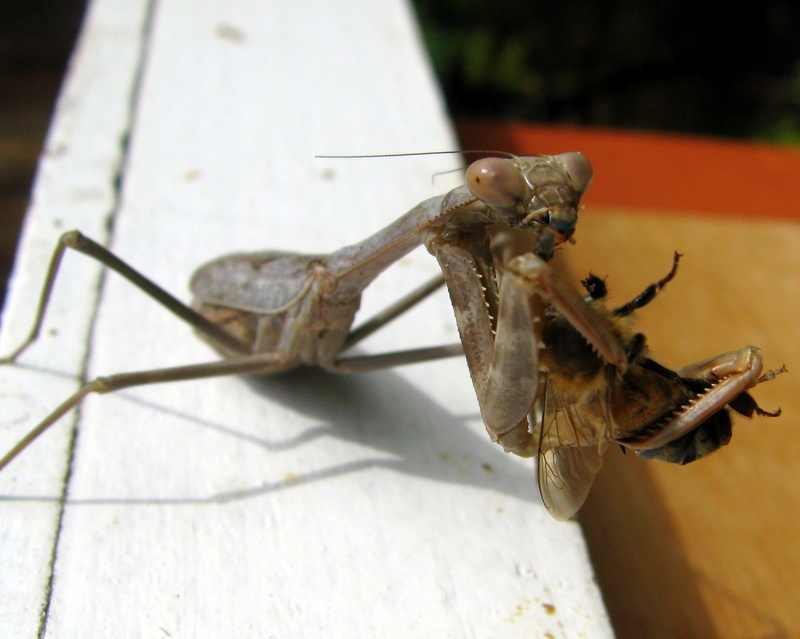 In some cases, that meal was a juicy honeybee snatched in mid-air like candy at the Day of the Dead parade. Hay más tiempo que vida.